Heat rises, and therefore the Building Regulations requirements for heat loss through roofs are more stringent than those for walls. Your choice of roof insulation will depend on your roof type (flat or pitched), its structure (depth of the rafters), and your willingness to invest. In most cases, extra investment made in beating the Regulations on insulation is money well spent — it gives a lot back in returns. 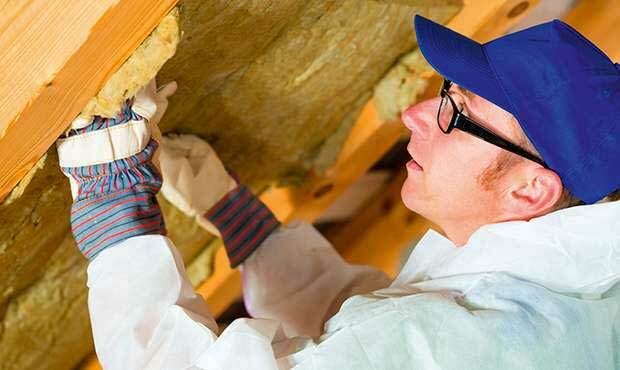 Insulating your loft, meanwhile, is perhaps the easiest of all the energy-saving home improvements. 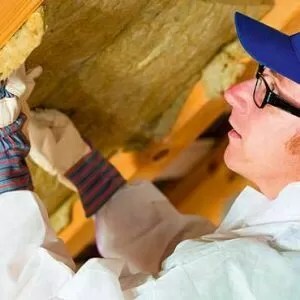 Mineral wool rolls are ubiquitous and cheap, meaning a whole roof on a standard home could be insulated to the recommended 270mm with a spend of little more than $300. It’s also within the capability of most DIYers, although not the most pleasant of tasks. As with all improvements, the effect it will have on your energy bills depends on what you’re replacing and how big your roof is. It’s also much more important to do if you don’t have any loft insulation at all. Floor insulation, conversely, is the trickiest of all. The ground floor beneath a house is generally warmer than the air around it and therefore it would perhaps be third on your list of priorities (behind walls and roofs), but it makes sense to consider retrofitting, particularly if you have a suspended timber floor. You can retrofit insulation on top of a solid concrete floor, too, but it will obviously have an impact on floor height build-up. And, it’s only worth digging out the floor if you’re undertaking a major renovation. You might well ask why they are different. There is a strong argument, that they should all be the same. We can see why a lower U value for the roof might be a good idea; the roof is higher and subject to more wind and therefore more likely to lose heat. Heat rises (actually it doesn’t — cold air, being more dense, falls and pushes the warmer air up) and is more likely to escape through the roof. But the earth below the ground floor will be warmer (in winter) than the external air, so why does the floor need a better U value than the walls? To meet the new Target Fabric Energy Efficiency (TFEE) and comply with 2014 Building Regulations, the U values will need to be no worse than 0.13W/m² for both the roof and floor. This recognises, to some extent at least, that a uniform envelope is a good idea. The first decision is whether to insulate a pitched roof at ceiling or rafter level. The current trend is for a ‘warm roof’ where insulation is installed between the rafters, thereby keeping the roof timbers warm. Don’t forget that, in most cases, when we talk about roofs we talk about loft space. Insulating the roof means that the loft becomes a heated space. If the loft is only ever going to be used for storing suitcases and Christmas decorations, this may be considered a waste of energy (effectively heating it to the same standard as a normal room); if it’s to be used as a room, then it’s a worthwhile endeavour. With a flat roof, this issue does not arise, but the U value constraint and the amount of insulation needed is just the same. Achieving a U value of 0.20W/m² (meaning your roof will be better insulated than your walls) will need 120mm thickness of rigid foam or 200mm of mineral wool or natural insulation. Hitting amazing levels of 0.13W/m² will need 300mm of mineral wool or 180mm of rigid foam. With a warm roof the usual process is to split the insulation into two layers. If 180mm is to be installed then 100mm board might be introduced between the rafters (there has to be a minimum 25mm air gap between the insulation and the underside of the tiles or slates) with an 80mm board running across the rafters. The proportions do not matter but this arrangement helps to eliminate any draughts caused by gaps between the insulation and the rafter. If the insulation is installed at ceiling level then the choice between rigid board (expensive) and mineral wool (cheap) will be dictated by what the loft space is to be used for. If you’re boarding the floor to allow it to be used for storage, choose rigid foam. But if not, or if only a small area is to be boarded, then mineral wool is easier and quicker to install. The big benefits for loft insulation come when going from zero insulation to 270mm. Energy Saving Trust (EST) figures give savings of between $250-400 a year depending on the size of house. For top-up insulation (i.e. when some insulation already exists but you top it up to the required 270mm) the EST figures suggest savings of around $30 per year. Field trials carried out on a mix of homes that had both types of installation (virgin and top-up) suggest an average saving of just 300-500kWh per annum. A number of manufacturers now offer insulated sarking (another word for roof boarding or decking) products. 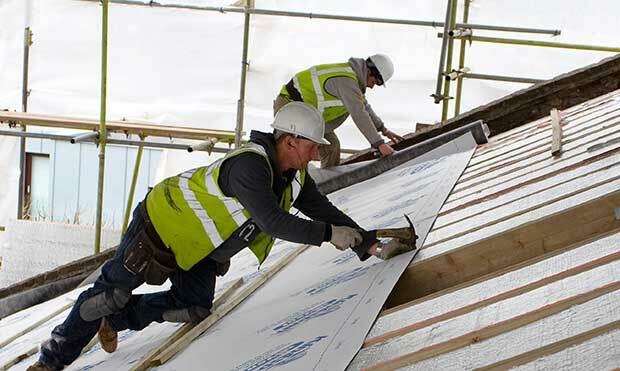 Celotex offers a PIR (polyisocyanurate) pitched roof sarking, while Euroform, among others, offers a wood-fibre option that is also water-resistant. A little bit of research will find many more. These effectively allow insulation at both rafter and ceiling level to be combined. Most modern homes have a solid floor of some sort, be it a concrete slab, concrete planks or block and beam. 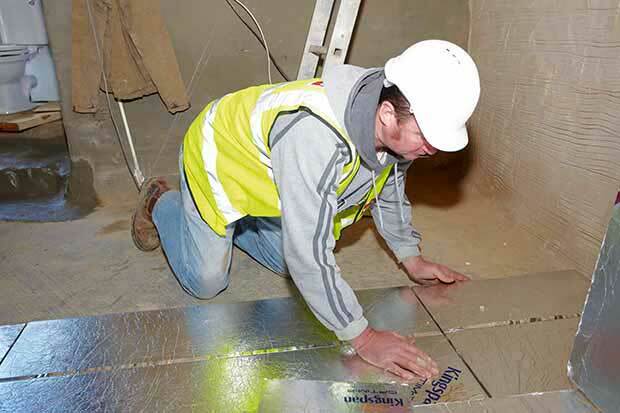 Insulation is laid on the concrete and covered with a screed (there will be a damp-proof membrane under the insulation and possibly a second membrane on top, depending on the type of screed). In this scenario, a rigid foam insulation is usual, and as we want the same U value in the roof, we need the same thickness of insulation (180mm). Many builders will baulk at this figure — it was not long ago that installing 50mm of insulation in the floor was considered fairly advanced. Suspended timber floors present a different set of problems. Typically the renovator does not have to meet the same Building Regulations requirements and has more latitude in the amount of insulation installed. Conversely, the noticeable impact of the insulation is likely to be greater. A suspended timber floor tends to be cold and draughty because of the air circulating beneath it. Installing any amount of insulation will warm the floorboards and go a long way towards eliminating draughts. The effect is a greater sense of comfort and that, in turn, allows the homeowner to turn the thermostat down. Achieving a U value of 0.25 would be a good target and would need 90mm of rigid foam or 150mm mineral wool. A semi-rigid material is generally best as it can be cut very slightly oversized and squeezed in between the floor joists, thereby ensuring no draught-causing gaps. The insulation can, and should, be pushed tight to the underside of the floorboards. 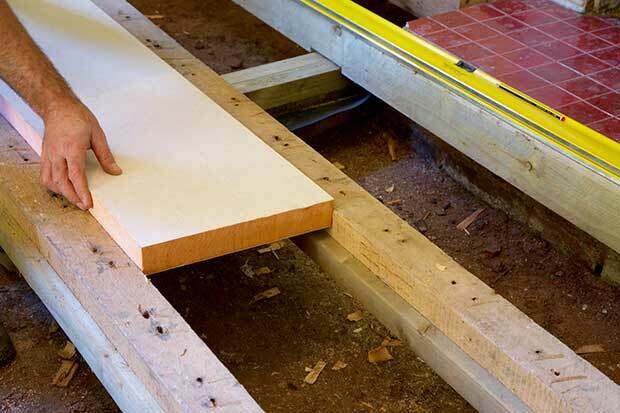 At least 25mm of the joist must be left exposed to ensure air circulation; this is to prevent the joist becoming damp and encouraging dry rot. For the same reason, any airbricks must be left clear to ensure a good air flow. The way the insulation is installed will vary with the type and rigidity of the insulation. Rigid foams just need a few tacks to ensure they do not drop; semi-rigid batts will need battens fixed along the joists and flexible wools will need battens across the joists. This is fibreglass insulation encapsulated in a metalised polythene film. It claims to be more effective than simple fibreglass as the metalised film reflects heat. It is useful in hard-to-reach spaces and under suspended floors as it can be tacked into place. Installing insulation on top of the floor can present problems with ceiling, door and window cill heights. New range of Vacuum Insulated Panels (VIPs) offers an interesting solution for those needing an ultra-thin build-up. They consist of a microporous core, which is evacuated and sealed in a thin, gas-tight membrane and can achieve performance similar to the thickness of traditional insulation at levels of just 26mm. Your choice of roof insulation will depend on your roof type (flat or pitched), its structure (depth of the rafters), and your willingness to invest.